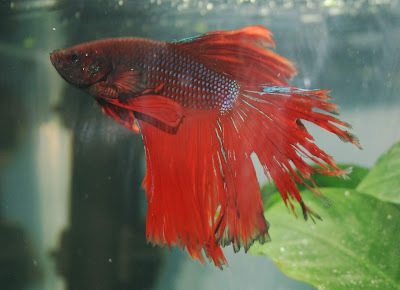 Is your betta fish incessantly biting his beautiful tail, like a little kid who thinks it’s funny to cut his own hair? Keep reading to find out what it looks like, why it happens, and some tips and tricks for stopping it. My son really wanted a crowntail betta because of their spiky-looking frills, so we helped him pick out a gorgeous blue and red one from Petco that he named Darth Vader. Unfortunately, Darth Vader had a bad habit of biting his tail! One morning, we woke up to find that he had just happily sheared off the top half of his caudal fin. 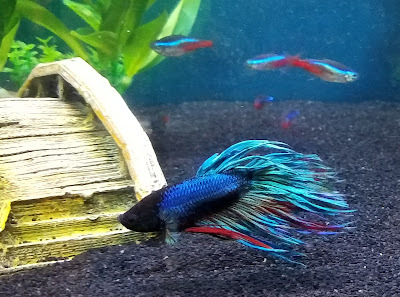 Other reasons why your betta’s tail may be damaged is if it got caught on sharp decor, sucked up in the filter, or nipped by other tank mates. Thankfully, just because it’s damaged doesn’t mean it’ll automatically get infected and turn into fin rot. But if you see fin or tail deterioration that is ragged or tattered, fins or tail that look clamped, and wound edges that are black or red in coloration or have fuzzy growths – it’s likely fin rot (which I won't be covering in this article) so make sure to research treatment for it asap. 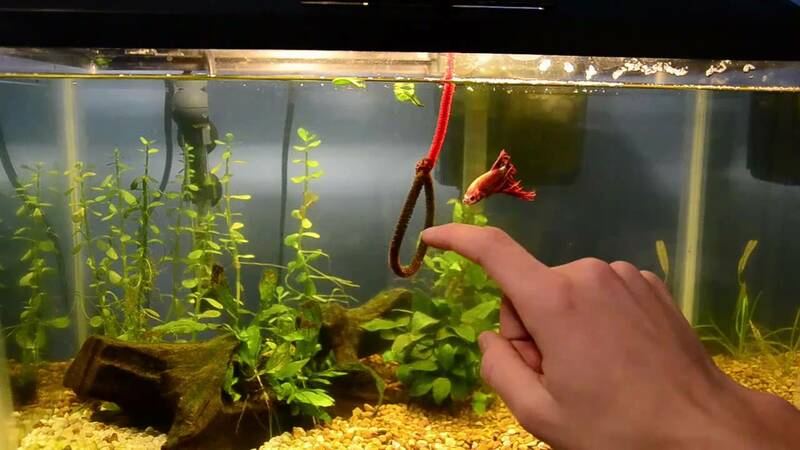 Provide enrichment by training him to follow a chopstick with food stuck at the end or to swim through the hoop end of your net, using a small pen light and dropping a piece food as positive reinforcement (like clicker training). Try teaching more advanced tricks with the R2 Fish School Training Kit, which comes with an instruction manual and obstacle course. If your betta fish is strong and healthy, his tail should heal up fine on its own. Just make sure to keep the water quality very high by keeping on top of your water changes. Decrease any stress factors in his environment, such as by slowing the filter flow, hiding any reflections he flares at, heating the water to the proper temperature, and so forth. For gentle treatments, some people like to add slime coat-enhancing products for faster healing, such as Seachem Stress Guard and API Stress Coat water conditioner which contains aloe. Others recommend using Indian almond leaves or catappa leaves for their reported antibacterial and anti-fungal properties. And finally, there's good ol' aquarium salt – just dose according to the manufacturer's instructions to help with your fish's osmoregulation and other benefits. Darth Vader finally left his tail alone once he got some roommates! 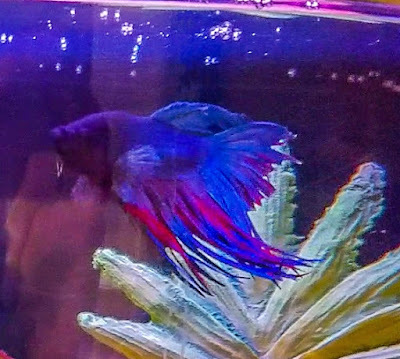 Has your betta fish ever had a problem with tail biting? How did you stop it? Comment below to share your experiences because I’d love to hear them. Take time to enjoy your aquariums and I’ll see you next time!